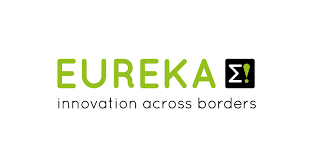 Chile (CORFO), Czech Republic (MEYS), France (Bpifrance), Israel (Israel Innovation Authority), Spain (CDTI-EPE), Sweden (VINNOVA) and Turkey (TÜBITAK) are jointly announcing a Call for proposals for joint R&D projects under the EUREKA program. All parties will provide all necessary assistance to project partners during project proposal, evaluation and monitoring phase. In addition, all parties will facilitate EUREKA application process and acquisition of the EUREKA label for accepted proposals. These organizations will also provide access to public funds for jointly labelled projects. Support shall be granted to each partner by its own Authorities, in accordance with existing laws, rules, regulations and national procedures, on the basis of non-exchange of funds between those Authorities and subject to budgetary availability.